When you leave your house in the morning, you (probably) lock the doors behind you. In a normal scenario, only people who have the keys to unlock your door should have access to your house. We do this for security reasons. In the same way, we may want to control who/what has access to different parts of our network and one of the ways we do this is using Access Control Lists (ACLs). In this article, we will be doing a deep-dive into ACLs as applicable to network access control. We will consider the structure of an ACL, how ACLs are processed, and also how to apply configured ACLs. Furthermore, to make this article as practical as possible, we will consider a case study where we configure ACLs on a Cisco IOS device. The knowledge from this case study can be applied across devices from other vendors. Note: ACLs are not only useful for filtering purposes; they also find application in other areas like Network Address Translation (NAT) configuration, matching which routes to advertise/accept in dynamic routing protocols, policy-based routing, and many more. Furthermore, ACLs are not restricted to networking as they are also used in other systems such as file systems to control access to files/objects. Just like the phrase says, an Access Control List (ACL) is a list that controls access. This means that, when used for network access control, ACLs determine which hosts are allowed (or not allowed) to access other devices/destinations. This is typically done on a per-packet basis which means that each packet is checked against the ACL to determine whether to allow or deny that packet. Note: ACLs can be used to check various fields in a packet including Layer 2 (e.g. MAC addresses), Layer 3 (e.g. IPv4 addresses), Layer 4 (e.g. TCP port number), and so on. In this article, we will restrict our discussion to Layer 3+. Furthermore, most ACLs are considered “stateless” which means that each packet in a flow is considered on its own, unlike stateful filtering which keeps track of the state of a connection. Like we already said, an ACL is a list which means that it is a list of something. In technical terms, we say an ACL is a list of Access Control Entries (ACEs), with each entry containing matching criteria for a particular packet. ACL Identification which is typically a name or a number. As we will see later on, ACLs can also be identified by their type. A number of access control entries which are typically identified by sequential numbers. An identification which is usually a line number. For example, the first ACE in the ACL configured on a Cisco IOS router has a line number of 10 by default; the next one has a line number of 20; and so on. An action to be performed for a packet that matches the entry. Typically, this is either “permit” or “deny”. In some cases, the protocol and port information to be matched in a packet. 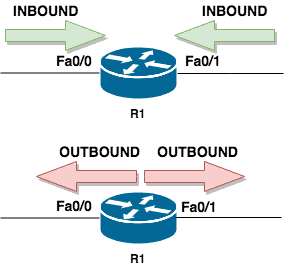 For example, an ACE can match all IP traffic while another ACE matches only HTTP traffic. The source to be matched. This is usually the (IP) address of the source of the packet. It can be a single address, a range of addresses, a subnet, or even any address. The destination to be matched. This is usually the (IP) address of the destination of the packet. It can be a single address, a range of addresses, a subnet, or even any address. If PC1 initiates communication to PC2 (e.g. ping from PC1 to PC2), the source of the traffic is 192.168.1.100 while the destination is 192.168.2.200. If PC2 initiates communication to PC1 (e.g. ping from PC2 to PC1), the source of the traffic is 192.168.2.200 while the destination is 192.168.1.100. The ACEs in an ACL are checked in order from top to bottom. This means ACE #10 will be checked before ACE #20. If a packet does not match an ACE, it is checked against the next entry in the ACL. If a packet matches an ACE, checks against the entire ACL stops and the action specified on the matched ACE is applied to the packet. If a packet does not match any entry in an ACL, most ACL implementations will deny/drop this packet because there is an implicit deny entry at the end of every ACL. Q1: What will happen to a ping packet from 192.168.1.100 to 192.168.2.200? A1: Since ping is based on ICMP, the packet from 192.168.1.100 to 192.168.2.200 will be allowed because it matches the ACE with Seq #1. Q2: What will happen to a ping packet from 192.168.1.50 to 192.168.2.200? A2: The packet will be checked against the ACL starting at Seq #1. Since it doesn’t match this entry, the next entry (Seq #2) will be checked. 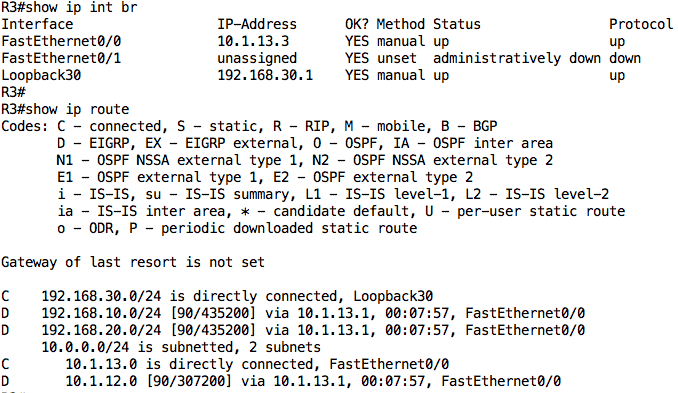 This entry denies ICMP from any source to any destination. Since this is a ping packet (i.e. ICMP) and the source qualifies as “any” and the destination also qualifies as “any”, the packet will be denied. Q3: What will happen to an HTTPS packet from 192.168.1.50 to 41.1.1.1? A3: This packet will not match the first three entries of the ACL. However, it will match the 4th entry because it is an HTTPS packet, with a source that is contained in the 192.168.1.0/24 subnet, and a destination that qualified as “any”. Therefore, this packet will be allowed. Q4: What will happen to an HTTP packet from 192.168.1.50 to 41.1.1.1? 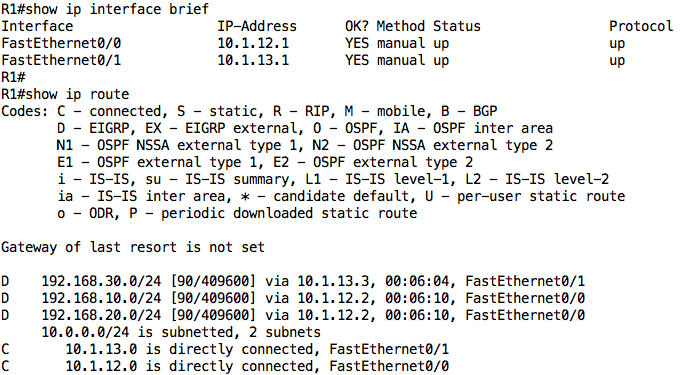 A4: This packet will not match any entry in this ACL (only 192.168.1.100 is permitted to send HTTP traffic). Therefore, it will be denied assuming that the “implicit deny” rule applies to this ACL. Just as it is ineffective to install a lock on your door and leave the house without locking the door, configuring ACLs without applying them is also pointless. When used for network access control/filtering, ACLs are typically applied on device interfaces, devices such as routers, multilayer switches, firewalls, and so on. Because understanding which direction to apply ACLs can be difficult, let’s take an example. In the image below, PC1 is connected to the Fa0/0 interface of R1 while PC2 is connected to the Fa0/1 interface of R1. Now, imagine we want to apply an ACL on R1 such that only ping (ICMP) traffic from PC1 to PC2 should be allowed; where can we apply that ACL? First, we can apply this ACL on the Fa0/0 interface in the inbound direction. This is because ping traffic from PC1 to PC2 will come into R1 from its Fa0/0 interface. Alternatively, we can apply this ACL on the Fa0/1 interface in the outbound direction. This is because the ping traffic from PC1 to PC2 will go out of R1 through its Fa0/1 interface. Tip: Something I learned a while back that may help with the understanding of ACL directions is to think of yourself as a router. Stand up and stretch out your arms by your side like you are forming a cross: traffic coming in from your fingers into your body is inbound while traffic going from your body to your fingers is outbound. Extended ACLs which can match on a combination of protocols, source/destination addresses, source/destination ports, options, and so on. Note: Cisco has other types of ACLs such as time-based ACLs, reflexive ACLs, dynamic ACLs, and so on. However, these are beyond the scope of this article. 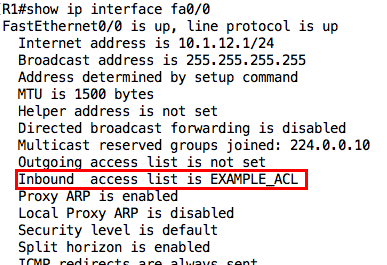 Irrespective of the type, ACLs on Cisco IOS devices can be named (e.g. “TESTACL”) or numbered (e.g. 100). Note that if using numbered ACLs, there are particular number ranges for standard and extended ACLs. When specifying the source and destination addresses on an ACL in the Cisco IOS configuration, you use something called a Mask also known as an Inverse mask or Wildcard mask. At the basic level, the wildcard mask is just the subnet mask flipped i.e. 1s become 0 and 0s become 1. For example, the corresponding wildcard mask for the subnet mask 255.255.255.0 is 0.0.0.255. For the wildcard mask, 0 means “must match” while 1 is a “don’t care” bit. For example, a 10.1.1.0 network with a wildcard mask of 0.0.0.3 will match traffic from IP addresses 10.1.1.1 through to 10.1.1.3. Note: It will also match 10.1.1.0 but since this is a network address, it is not a valid source address on a packet. Devices on the 192.168.10.0/24 network should be able to connect to the 192.168.30.1 host using SSH; Telnet should be denied. I have configured an ACL named “EXAMPLE_ACL”. This ACL is extended because I need to match on several fields. We can specify a port to be matched using keywords such as “eq” which means equal to, “gt” which means greater than, and so on. I have applied this ACL in the inbound direction on the Fa0/0 interface. I could have also applied it outbound on the Fa0/1 interface. Note: You can apply up to two ACLs on an interface, one in each direction. The EIGRP relationship has been terminated because EIGRP packets are being denied by the “implicit deny” rule at the end of the ACL. We need to resolve this issue by explicitly allowing EIGRP packets in our ACL. Warning: You need to be careful when editing an ACL since new ACEs are added at the bottom of the ACL (before the implicit deny). However, with named ACLs, you can specify the line number where you want an entry to be placed. Cool! Our EIGRP relationship is back. We can now go ahead to test our ACL. Remember that when testing ACLs, you should not only test what should be working, but also what should NOT be working. Test 1: Ping from 192.168.10.1 to 192.168.30.1 should be allowed because of ACL line entry 10. Test 2: Ping from 192.168.20.1 to 192.168.30.1 should fail because of ACL line entry 20. 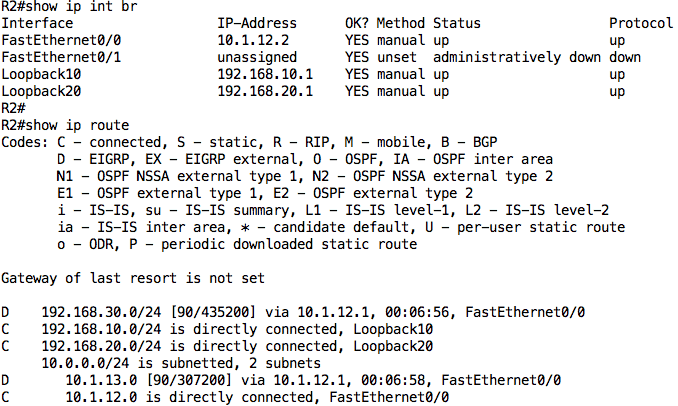 Test 3: Telnet and SSH from 192.168.20.1 to 192.168.30.1 should be allowed because of ACL line entry 30. Test 4: SSH from 192.168.10.1 to 192.168.30.1 should be allowed because of ACL line entry 40. Test 5: Telnet from 192.168.10.1 to 192.168.30.1 should fail because of implicit deny rule. Since matching on an ACL is stopped once an entry is matched, put your more specific entries at the top of the ACL and more generic ones below. entry, ICMP traffic from the 1.1.1.1 host will also be denied. Since ACLs are searched from top to bottom, you should put your most likely-to-be-matched traffic towards the top of the ACL. This will reduce search time and resource consumption. You can use remarks to make your ACLs more readable i.e. so that you can understand what a particular entry does and why it is there. As much as possible, apply an ACL as close to the source of traffic as possible. There is no point for traffic to go all the way across the network only to be denied. Note that this tip may not be applicable for standard ACLs. If you can afford it, apply an ACL inbound instead of outbound. This is because packets are already processed (e.g. routing table lookup) before they are checked through an outbound ACL. Why waste processing resources only to later drop the traffic? Of course, there are times when this cannot be helped. 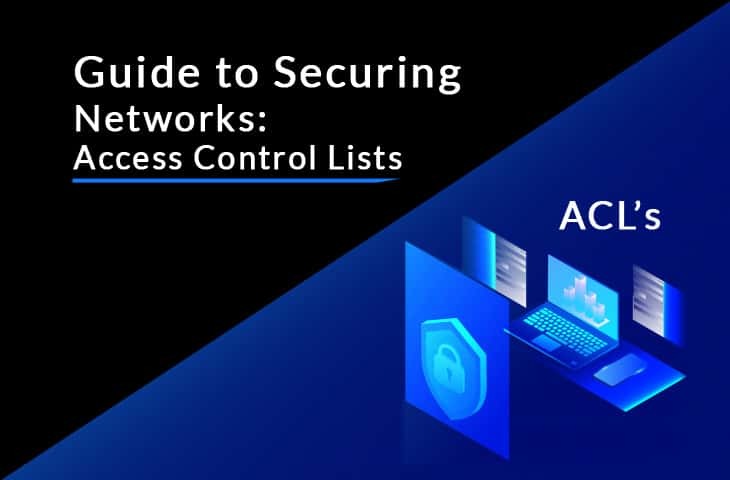 This brings us to the end of this article where we have looked at Access Control Lists in detail, focusing on how they are used for network filtering. We saw that ACLs are made up of Access Control Entries (ACEs) which either permit or deny traffic based on certain criteria. We discussed processing rules for ACLs: top to bottom; stop once a match is made. We also looked at how ACLs can be applied to interfaces either in the inbound or outbound direction. Finally, we looked at a case study on implementing ACLs on Cisco IOS devices along with helpful hints.